On the 23rd of April 2018 IPR GROUP Attorneys were hosted at a gala dinner by the French Red Cross and the Embassy. This is in line with the world trend of businesses having a corporate conscience and giving back to the communities in which they do business. The IPR Group constantly strives to make own contribution in making the world a better place. With this goal in mind, the company ensures to participate in various programs and activities in the CIS region which enable to make a social impact in people’s lives. The event was hosted by the French Ambassador to Ukraine, Isabelle Dumont and French the Embassy. It saw the diplomatic corps in Ukraine, the managing staff of major international companies in Ukraine, artists, and people of diverse cultures in attendance, all with one single goal. There was mild entertainment, a healthy environment for favourable discussions, and an art auction. The Ambassador also surprised guests by playing the cello to the entertainment of everyone. 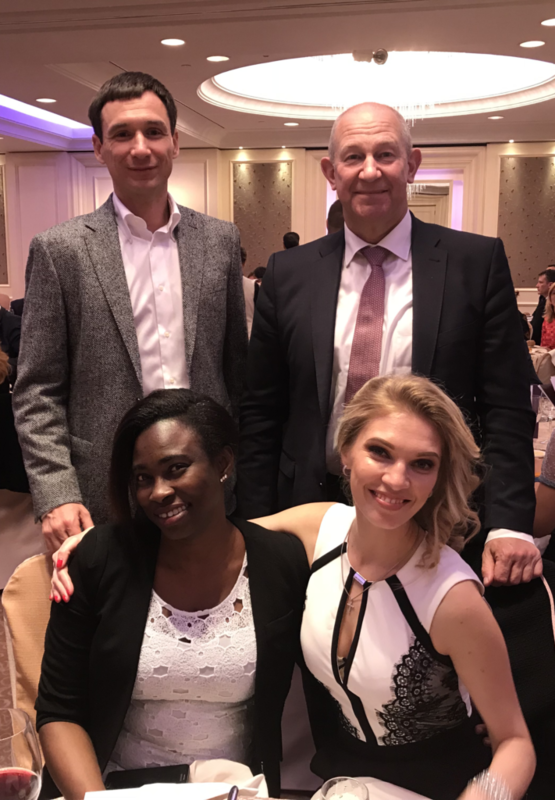 It was a lovely evening and the IPR Group team looks forward to even more opportunities of fulfilling corporate responsibility.